Book Sizes, What size should your artwork be? For the most part they are talking about artwork for Amazon/and kindle so I’m going to address that. The size requested by Amazon for Kindle is slightly different. They simply give a ratio of 1.6 which comes out at 5.623 inches (142.8mm) wide x 9 inches (228.5mm) high. Final artwork for print needs 300 dpi at actual size. This is industry standard, so that means that for an Octavo paper back cover your final artwork should be 6 x 9 inches at 300 dpi or 1800 pixels x 2700 pixels. If we apply the same thinking to Amazon the final artwork would be 5.623 x 9 inches at 300 dpi or 1687 pixels x 2700 pixels. However Amazon specify a limit on the maximum pixel height of 2500 pixels. This means your final art will be 5.623 x 9 inches at 277.77 dpi or 1562 pixels x 2500 pixels. I recomend you always work to cater for the “Octavo” (6 x 9) format which will allow a little room at either side to crop for Amazon’s 1.6 format. If you are digitally painting or photo compositing you should always work at least half up. That is 6 x 9 at 450 dpi or 2700 pixels wide x 4050 high. This allows for a reduction to 67% which will hide any minor blemishes in your compositing or art. Obviously for Amazon the reduction is slightly more: 61.73% to be precise. 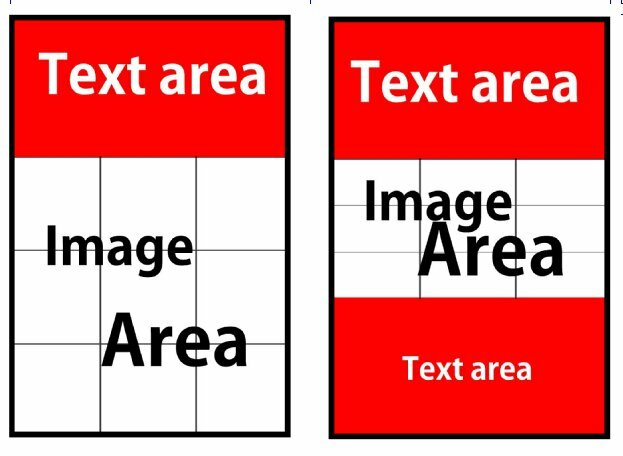 Remember its always possible to reduce an image but enlarging one past 120% will give unacceptable quality and pixilation will be seen on the print. Anyway this all seems extremely complex but don’t worry I made a free Photoshop template for you. Its set up as 6 x 9 at 450dpi at actual size with an Amazon Kindle template overlaid. It also features a Golden ratio template and a rule of thirds template to help with composition. Let me know if you need anything else like this and I’ll see what I can do. This is a very simple template that can enhance your layout substantially. It can be used on any format and it can also be broken down into further thirds sections, but more of that later. 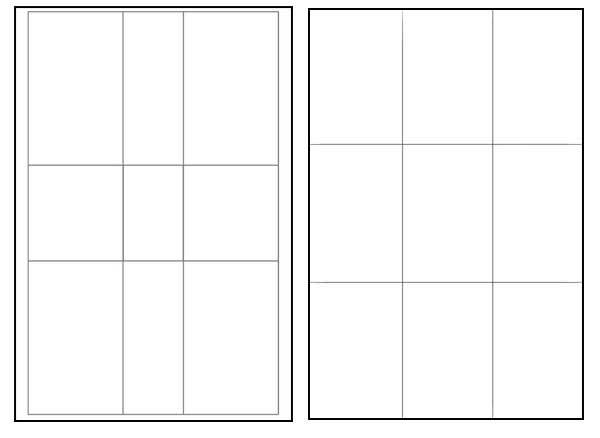 First lets look at the template when applied to a standard 6 x 9 book cover. 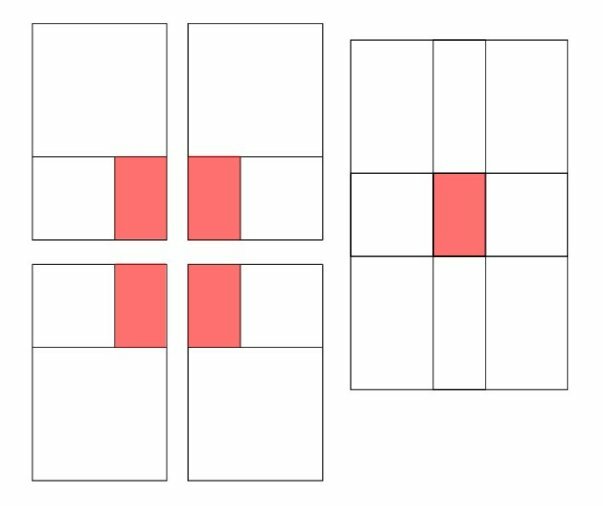 Standard 6×9 book, “thirds” grid. Basically what he’s saying is only have one center of focus and everything else in the image should serve to complement it and guide the eye toward it. 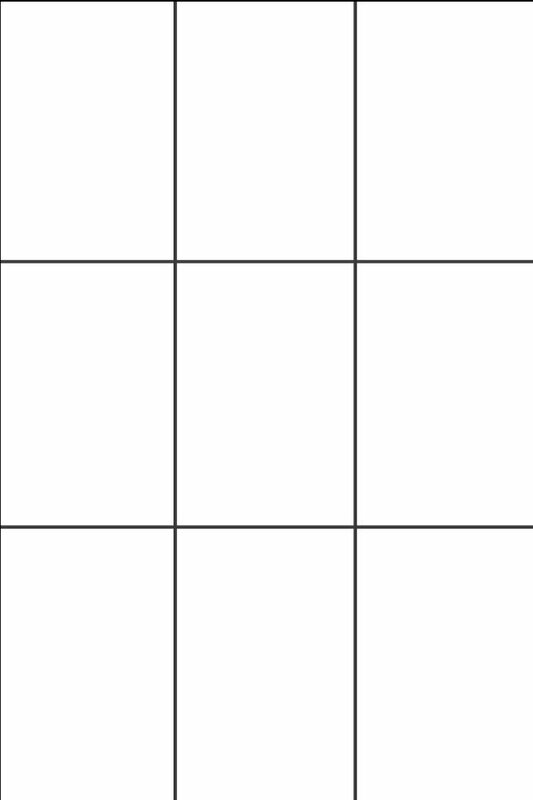 Using this grid should help an artist (you in this case) balance the image. I’ll talk about color and contrast in more detail in a later post. That’s easily said, even using this grid to create a balanced and pleasing image is not always as easy as it sounds so its always worth experimenting with it. I actually prefer it to the standard “Rule of Thirds” and I’m working on a cover using this format right now, so I’ll post it as soon as its done showing you some of the design decisions I was faced with when I produced it. I’ll talk about color and contrast in more detail in a later post. Okay, I think that’s it for now, I hope this is helpful to you. Here are some interesting insights from one of the more successful Book cover designers of our time, interesting and funny, despite his lopsided glasses. 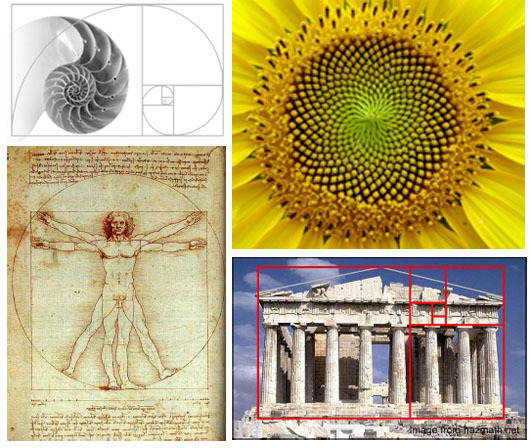 The Golden Ratio is also known as the Golden Mean, Phi, or Divine Proportion, this law was made famous by Leonardo Fibonacci around 1200 A.D. He noticed that there was an absolute ratio that appears often throughout nature, a sort of design that is universally efficient in living things and pleasing to the human eye. Hence, the “divine proportion” nickname. But we are not really concerned with all the mysticism and math here: We are simply concerned with how to make a good cover design. So how does it concern us? Well if you divide the imagery up on your cover using this method you end up with a very pleasing and well balanced image. 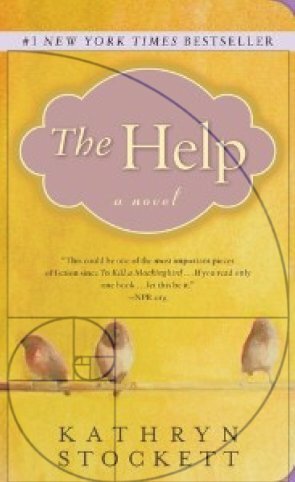 The cover for “The Help” by Kathryn Stockett looks like it was designed using this principle and according to USA today it was the number one selling book of 2011. Of course, that may have a little to do with the writing as well, but that cover really did grab the attention of potential readers. 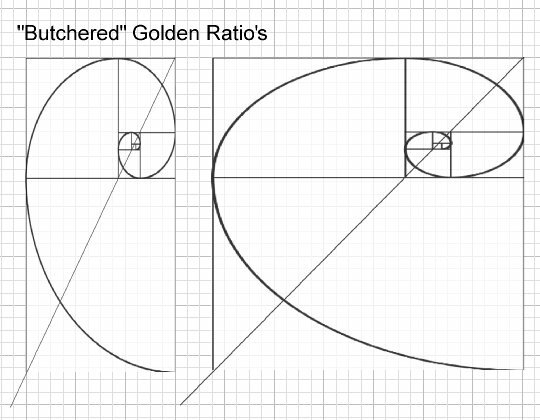 now you can draw the golden rectangle with the correct proportions. You can use the grid anyway round you like, horizontally, vertically, flipped and even in multiples at angles as it is seen in the sunflower. Of course, I recommend keeping things simple, it’s less risky. 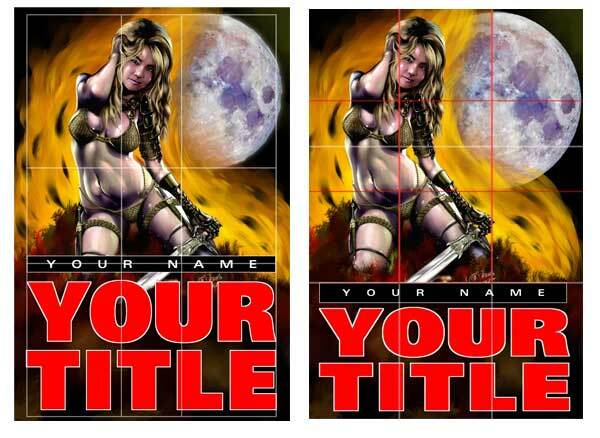 The next thing to consider is the proportions of your cover. A paperback book cover, though close, is not quite of the same proportions as the Golden Rectangle. But this doesn’t mean you can’t use it. In the diagram below the green area represents a standard Kindle book cover, and I’ve shown two possible alternative uses of the format. One is scaled down proportionally (as on the cover of “The Help”) and another is scaled vertically in order to use all the books space, this I will call a “Butchered” Golden Rectangle. It still leads to good quality composition, but it’s not quite as aesthetically pleasing. 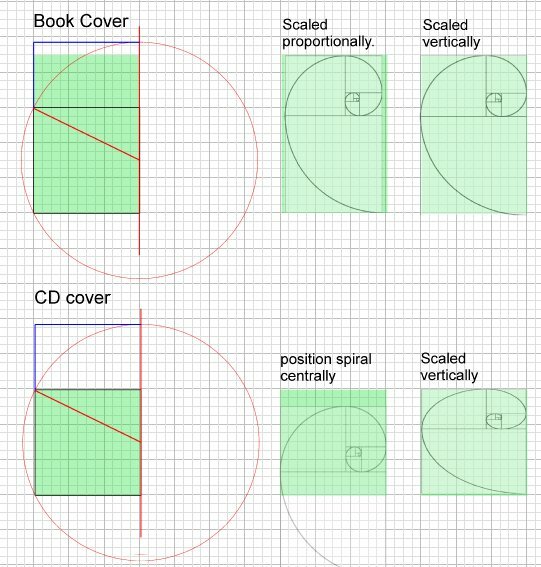 The same thing applies to CD covers, though the square format is very different making things slightly more problematic as can be seen in the diagrams below. If you are wondering why this particular compositional model is so appealing, well there are many theories, but nothing is confirmed. Personally, I think its got a lot to do with the subconscious human skill of detecting patterns, and the more perfect the pattern the more we like it. 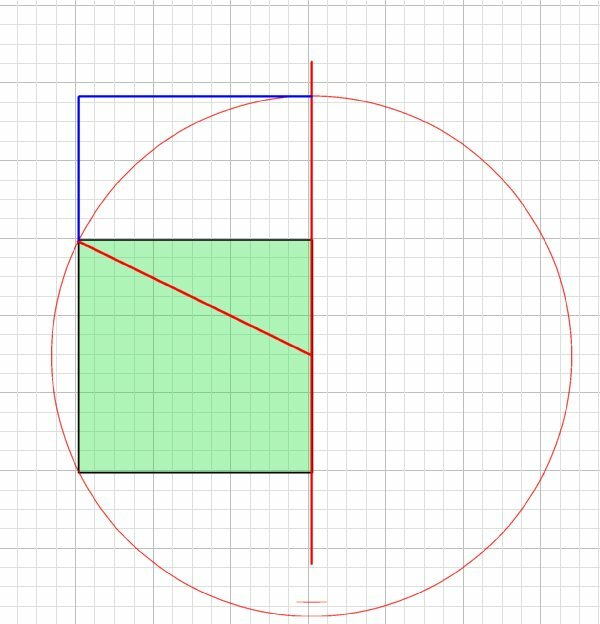 That said, imperfect patterns such as a “Butchered” Golden Ratio still appeal because they do have internal consistency and a detectable pattern. Here you can see how I’ve used the Golden Ratio on a recent book cover. I kept it in proportion matching the width of the book but allowing it to bleed just a little above and below the page. Look at the key elements of the cover. 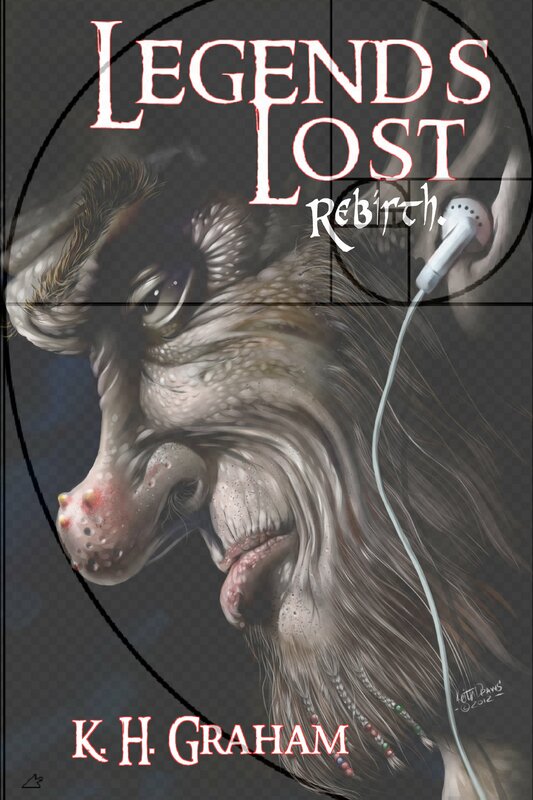 The typography; and how the focus is drawn into the word “Rebirth” The way the eye is bisected between the first square and second golden rectangle, the way the beard, nose, and brow follow the curve of the spiral. The way the front edge of the base of the ear bisects the central square, and so on. I’m sure you can spot much more. I’m going to continue to explore all the other compositional grids, methods and techniques in future posts and with a bit of luck by the end of it all we will all be better cover designers. If you enjoyed this article and perhaps found some help in here I’d appreciate a Facebook “share” and or “like” and one in as many other social networks as you can bring yourself to click on. And finally back to the mysticism. What to think about when designing your cover. Everything I’m saying here refers to covers for Books CD’s, DVD’s and anything else you can think of, So I’m just going to refer to your product as a “Book” though the advice will apply to any product. Well so the old saying goes, but in fact unless you are well known, then that’s exactly what is going to happen. The cover is the first thing a person will see when looking at your book. In fact it is the first contact you will have with your potential audience and so you really want to capture their interest. This is a time when first impressions really do count, in fact it could be life or death for your work. This may sound strange but basically when combined with the title it has to be a “lead in” with a “cliffhanger ending”. Or to put it another way, it has to basically indicate whats inside in a way that leaves the viewer longing to know and experience more. Rushed to print after the brilliant Jobs’ untimely death in mid-October, the book includes interviews with the man and his loved ones. 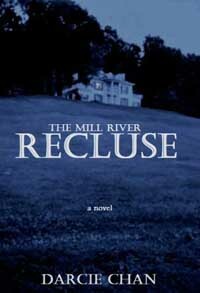 Looking at the cover of “The Mill River Recluse” makes you start to wonder who he or she is, do they live in that strange isolated house, where is it?. and so on. It’s working. 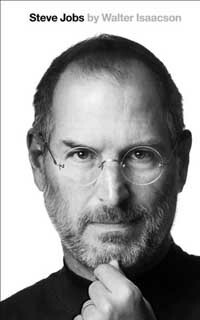 As for “Steve Jobs” it may not look as if its following that formula but in fact, it is a very well chosen photo of the man. He looks friendly, smart, interesting and approachable leading the viewer to think that opening this book will let them into the life of a truly fascinating man. So both those covers leave the viewer wanting more, and that’s what we all want to achieve isn’t it? In future posts I’m going to explore how to go about achieving this in much more detail; but for now why not take a look at some covers around you and try and determine how well they are doing this.